Blockchain is a form of technology that provides a new system for the exchange of information on a peer-to-peer level. It is a list of connected blocks, each containing a specific set of information. Within a given system, individuals can record transactions with one another in a secure and protected way. There is no central server or authority in a blockchain system who conducts the transactions and communications. Rather, each individual participating in the system hosts their own little bit. This lack of a centralised system is key to blockchain’s success and its possible future uses. It cuts out the middleman, the server, and allows the individual users to have a higher level of control. Blockchain technology emerged with cryptocurrencies, most famously Bitcoin. As a result of Bitcoin’s success, blockchain technology has been propelled into mainstream financial services. Bitcoin and other cryptocurrencies allow transactions to happen in real time, with high levels of security. 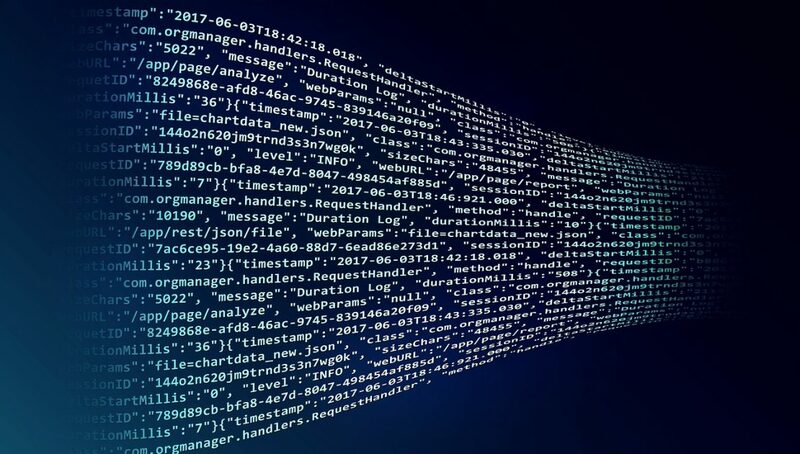 There are three key aspects to blockchain’s security: the linking of each block in a chain; the specific encryption of each block; and the lack of a central point for the system. Each communication on a blockchain is linked to the communication before and after it. Those communications, or blocks, are in turn linked to the blocks before and after them, which means blocks are linked throughout the whole system. As a result of this linking, a hacker can’t tamper with the system unless they tamper with each individual block. This makes it very difficult to hack a blockchain system without being caught quickly, giving blockchain technologies an inherent security. Each block in the chain is also protected by encoded cryptography. This means that after each communication finishes a block will have its own unique signifying code. If a hacker tried to interfere with the blocks, to steal information for example, these signifying codes become invalid. Similar to the earlier point of linked blocks, it would be obvious quite quickly to those in the system if someone had interfered with the blocks. Finally, blockchains are decentralised systems. This means that there is no one place or server through which information is fed. Rather, the system is distributed between each individual who participates in it. Because there is no single point that a hacker could easily attack, they would have to attack all the points in the system at the same time to be successful. This makes blockchain systems very secure, and the bigger they are the more secure they become because a bigger system means a wider distribution of blocks. Blockchain systems are changing the way financial services conduct business, so much so that JP Morgan Chase, the largest bank in the US, has its own dedicated blockchain team. By removing the middleman in transactions, blockchain technologies can change the way financial transactions are conducted, especially international transactions. Blockchain transactions happen in real time rather than taking a number of days and they are also much cheaper. According to Deloitte, cross-border transactions that currently cost anywhere between five and twenty percent of the transactions value cost only two to three percent when completed with a blockchain system. The online publishing company Medium has also reported that an Israeli company, working with Barclays, completed a trade transaction in just four hours when the same transaction would normally take over a week. This is one example of how blockchain technologies are improving financial services for consumers. The technology provides secure and fast ways of transferring data and information between individuals in the system. This technology has also been used in other sectors, and has proved successful so far in the energy market. Blockchain technology’s use in this sector means that energy inefficiency can be tackled. A major area of investigation in the energy sector is using blockchain technology to transfer excess energy to other users on the grid. The potentials of the technology also mean that these transfers and transactions can be set up to be automatic in the form of smart contracts, making it faster and easier to complete the transaction when it is needed. In Brooklyn, a group of residents have set up a microgrid to do just this. Coming from their own renewable sources, prosumers in the community can transfer excess energy to others who need it in their area. This microgrid system uses blockchain technology to identify where individuals have an excess of energy and, conversely, where other individuals have a lack of energy. Because of blockchain’s technology, each transfer of energy has its own unique record so individuals in the system can see when and where their energy was transferred. Blockchain technology has huge potentials in the energy industry. The technology can allow instantaneous and automatic transfers of data, which will allow better analysis of energy use. This means that less energy could be lost or wasted, and the energy can instead be directed to the areas where it is needed most. Pilot experiments similar to the microgrid in Brooklyn have existed elsewhere around the world with equal success. The next challenge for the energy industry is to move blockchain technology onto a larger grid and to move beyond just transfers of excess energy. A blockchain-based system would, by its nature, be decentralised. This would reduce the role that energy companies play in the distribution of energy, handing more control to the consumers. This opens up opportunities for consumers to dictate how much energy they want to consume, what sources that energy comes from, and give them the cheapest energy possible. Adopting blockchain technology into the energy sector can help democratise the energy market and encourage the use of green energy from renewable sources. It will allow consumers to have more say in how much energy they use and where that energy comes from, while ensuring their information is used in a safe and secure manner. Blockchain technology has proved hugely successful in the financial services market and it seems certain that it can have as big an impact in the energy sector.